Very satisfied with my first visitI was greeted immediately upon driving upI had previously made an appointmentCindy was excellent and answered my questions and addressed my concerns.The service people were very neat and delivered my car back to me in pristine condition as I would have expected. Unlike their LIncoln dealership where the service center is - well I just won't comment.If I had one complaint it would have been with the length of time it required to do an oil change. I may have caught them on a busy day, but over two hours for an oil change seems too long. 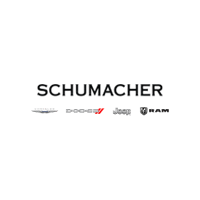 However I was made to feel comfortable at the dealership and had left the morning open.If I continue to receive continued quality service and the dealership maintains its competitiveness with other Jeep dealerships I will continue to be loyal to the Jeep brand and to the Schumacher dealership. To date, I have been treated very well. My first time buying a vehicle from Shumcar in Delray. The price was definitely reasonable. I am saving the best for last Lorenzo was the most professional finance guy in the game hands down! Quick, keen, cool and above all thorough! Makes me proud to own a Dodge (Challenger)! My service adviser Charlie was really great and very helpful. Made my visit very pleasant. Great Service, excellent job. Highly recommend!! Megan was great! Thank you. Just want to thank Jim my service Advisor for being professional and for taking the time to listen and correct the issue I had with my truck, nice clean job and done in a timely manner. Thank you Jim and looking forward to bringing you the truck for service.